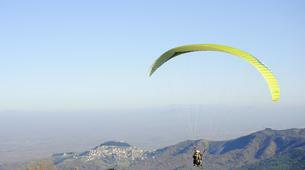 What a better way to admire the beauty of Plastira lake than with a tandem paragliding flight...? 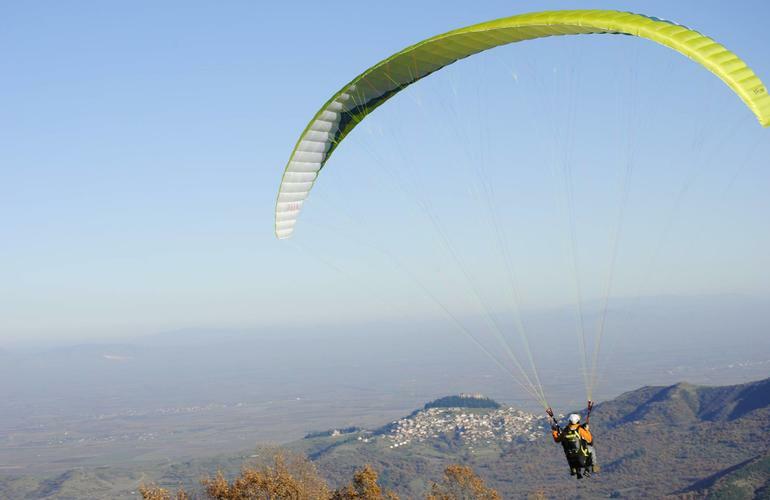 Skyland Pro offers tandem paragliding flights over the Plastira lake to admire the natural beauty of this unique place all year round. 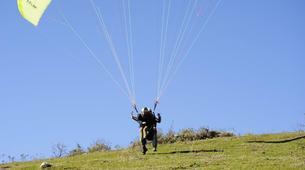 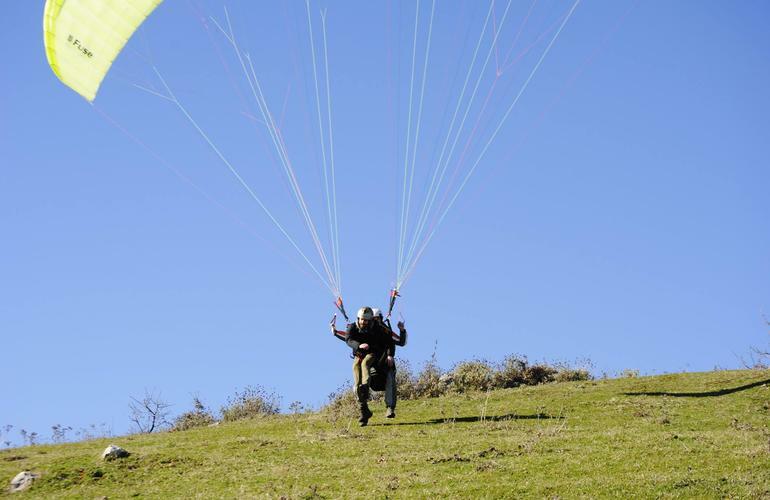 Book your flight and fly in safety with a certified paragliding instructor. 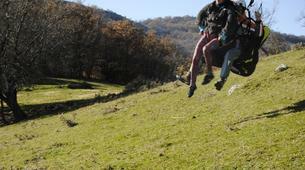 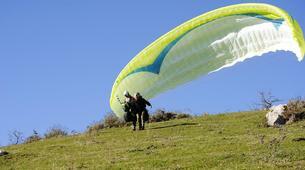 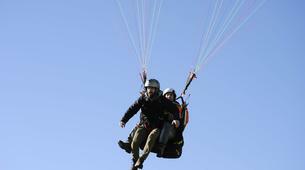 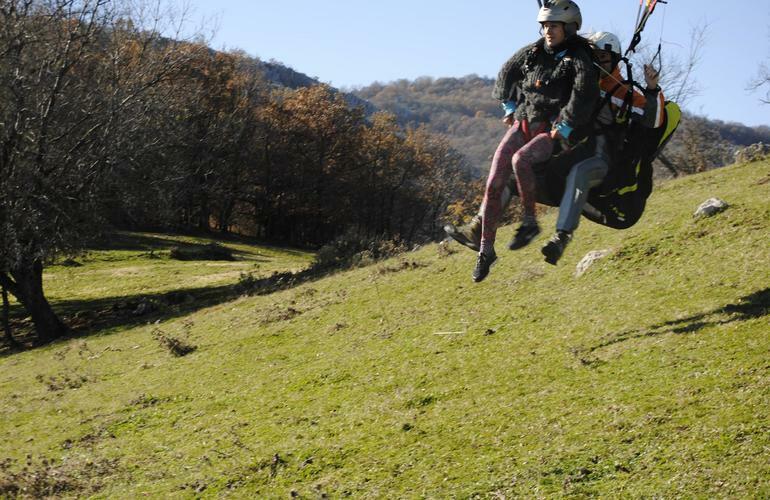 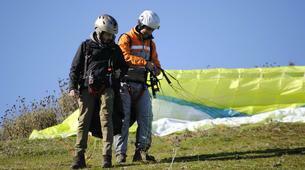 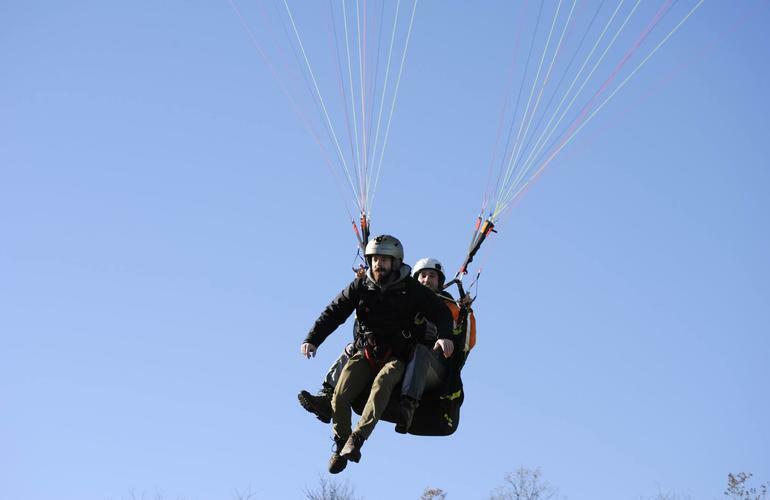 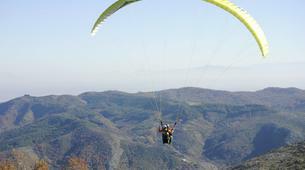 Dimitris, the instructor is a passionate with tandem paragliding. 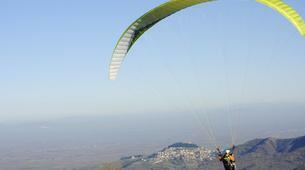 Being a local, you will get the chance to know everything about the Plastira lake and the villages around. 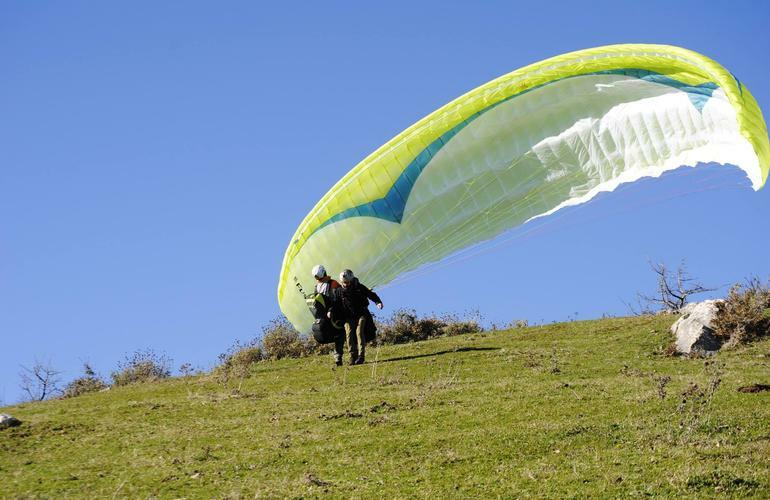 You do not need to be sporty to enjoy a paragliding flight - only a few steps and you will be on the air flying attached to the instructor. 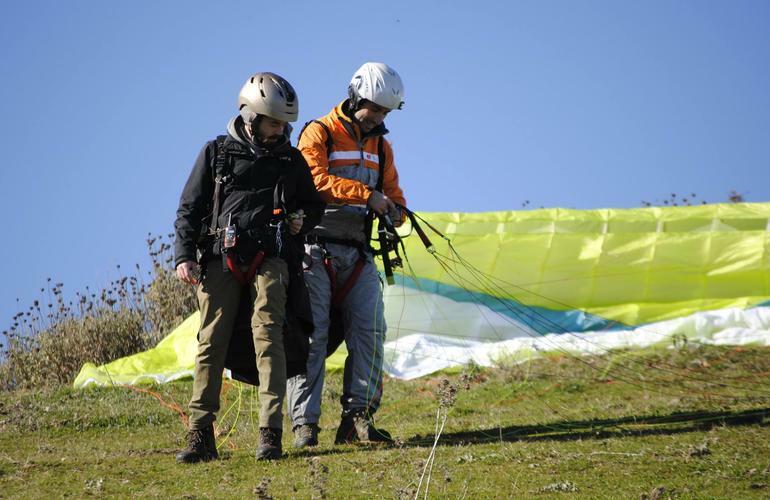 When on air, the instructor will take care of the glider and you will just enjoy the views to the lake and the mountains around. 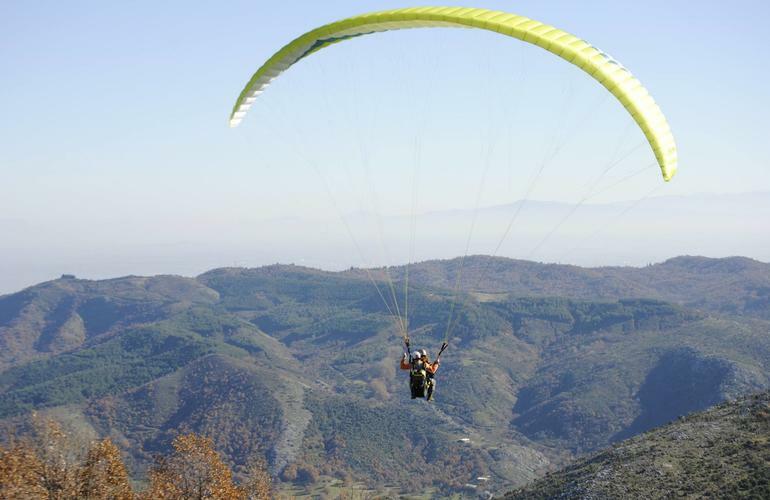 A unique experience you should definitely try when visiting Plastiras lake. 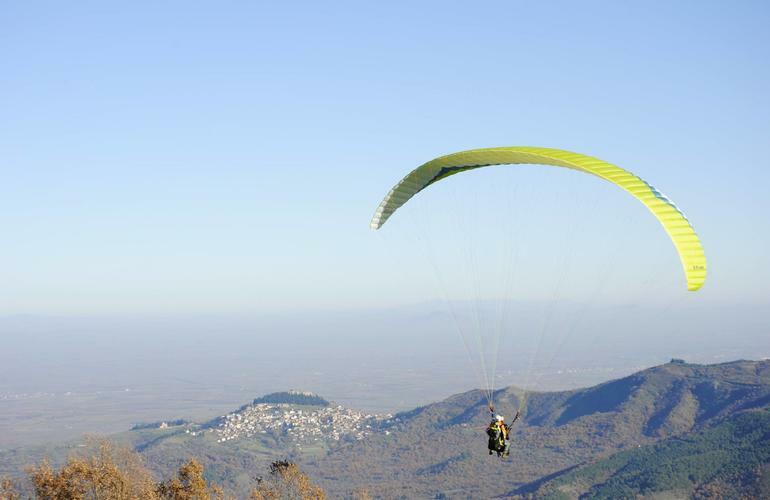 Paragliding over the lake will leave you breathless.